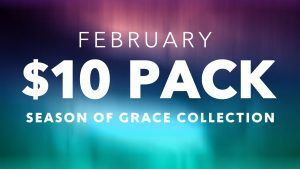 Download this month’s special $10 Pack of Media! It includes one of our current bestsellers, “Sacrificial Lamb”. This collection is an incredible value of vibrant backgrounds, perfect for the season, in both English and Spanish title motions and stills. With each background and countdown, you get the SD, HD, and Triple Wide version! $108 worth of media for $10.